“Who is wise and understanding among you? By his good conduct let him show his works in the meekness of wisdom” (James 3:13). Like most of the earliest Christians, the original audience of the book of James had to deal with various trials that came as a result of their faith in Jesus. While the exact circumstances faced by this audience are unclear, many have said that this audience had been forced to live in exile far away from their homes. Such a situation made it easy to forget how to live according to their faith in the Lord. Thus, James wrote to this audience to remind them how true faith responds to difficulties. For if this audience could not do the good works that result from authentic faith, they would have to question whether they had ever possessed a living, salvific faith in the first place (James 2:14–26). This letter then is a powerful call to a conversion of the whole life — a call to live out the “royal law” of God by not only hearing the Word but also by showing that the Word has taken hold through acts of obedience (1:23–25). These works of obedience are many. They include giving honor to both poor and wealthy Christians (1:9–11; 2:1–13), and using the tongue only to bless God and encourage others (1:19–21; 3:1–12). However, because the influence of this fallen world is so powerful, the people of God will not be able to act in such a way unless they possess the wisdom that God freely gives when we ask Him for it (1:5–8). In today’s passage, James returns to the subject of wisdom. Though he mentioned the topic explicitly only once before, we must note that wisdom is always assumed in James’ teaching. 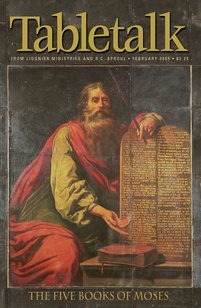 His concern with right conduct as displayed in the tongue, for example, is very much in keeping with the concerns of the Old Testament wisdom books. In 3:13, James emphasizes that by our good works done in meekness we demonstrate that we possess wisdom. James here is very close to the exact wording of Jesus who tells us that wisdom is justified by her works (Matt. 11:19) and who continually calls us to live in meekness (5:5). Only good works done in humility, acknowledging that we deserve none of the blessings that God has bestowed on us, demonstrate that we possess true wisdom. Without such wisdom we will by no means be able to obey God in gratitude for our salvation.